Camp Woodland | It’s All Fun and Games or Is It?! It’s All Fun and Games or Is It?! Independence Day is quite a celebration around here! The CIT’s kick off our multi-day event by hosting 4th of July Games the Sunday before the actual holiday. 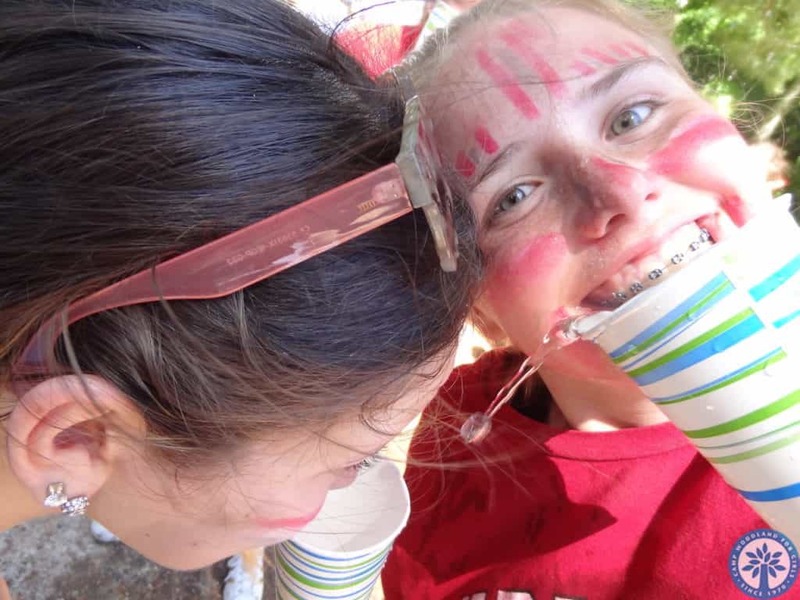 Woodland alum will recognize perennial favorites such as the clothes relay down the Woodland Road, water balloon toss, orange pass, shave a balloon, and water relay (just to name a few!). In addition to a multitude of laughs and memories to recount later to friends and family, there is a LOT more embedded within an afternoon of fun and games than just meets the eye. I’m sure it is no surprise that there is a noticeable decline in the amount of time spent playing for both kids and adults. Busy schedules drive us from the moment we open our eyes in the morning until our head hits the pillow at night. 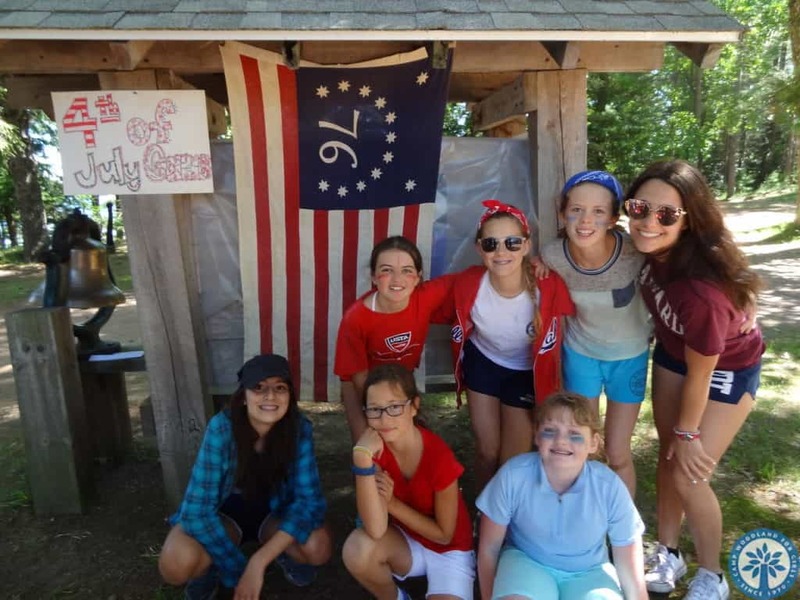 The great news is that there is an abundance of play at Camp Woodland! Play is what we do! 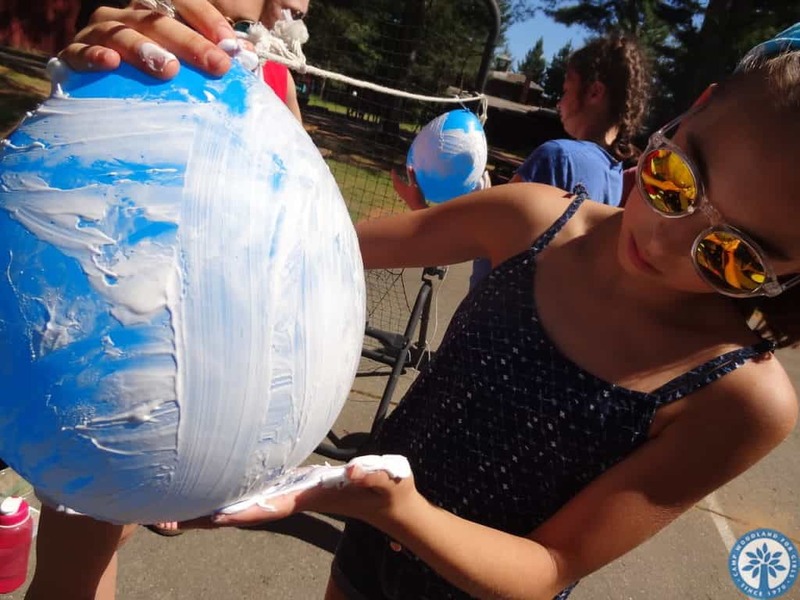 If a very large balloon covered in shaving cream pops during one of the games, then a camper is faced with an opportunity to gracefully handle the situation. Learning not to take things seriously and to laugh at oneself are good qualities to master for more challenging dilemmas down the road. 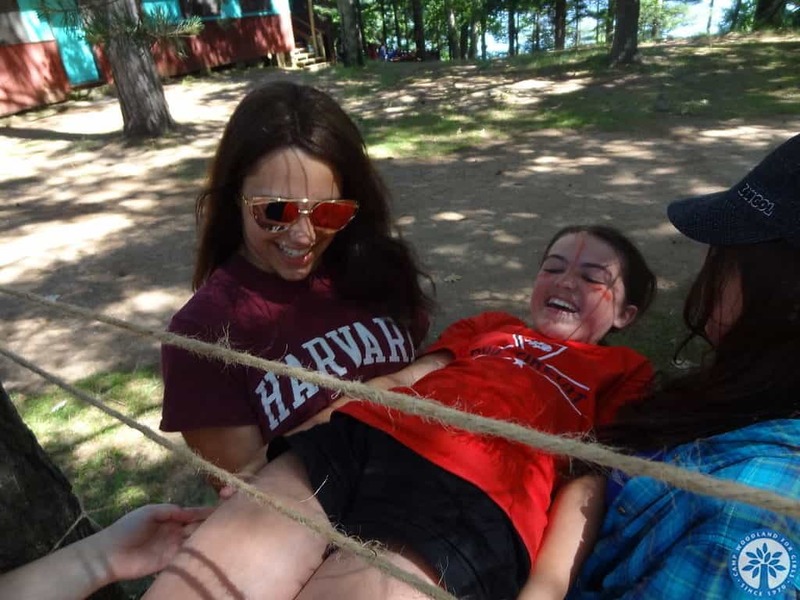 Being able help your teammates maneuver through the giant “spider web” requires an enormous amount of trust on the part of each individual. The awkwardness of passing an orange from person to person is great practice being silly and not caring what other people think. Playing offers a multitude of little ways to step out of our comfort zones and make frequent deposits in our confidence banks. This will pay huge dividends later! it provides a brief respite from the tyranny of apparent purpose (I guarantee campers are not thinking about the final math test they took at the end of the semester during the water balloon toss!). 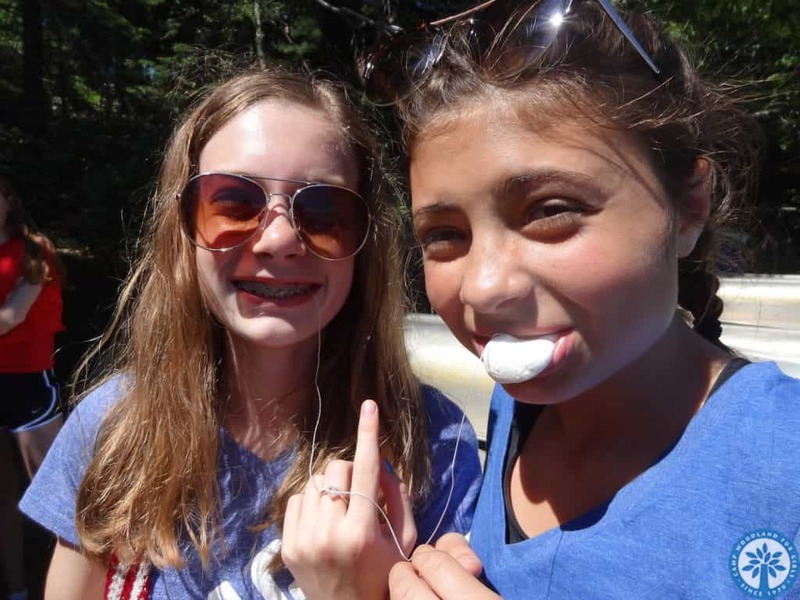 it compels us to choose to say, “I care” and better come to know ourselves (Stuffing a giant marshmallow in your mouth is a great way to do just that!). people matter and it reminds us of our interdependence with others. It gives us a chance to see other people and in turn to be really and truly seen (There is a whole wide world out there, and it is a lot of fun to play with others!). 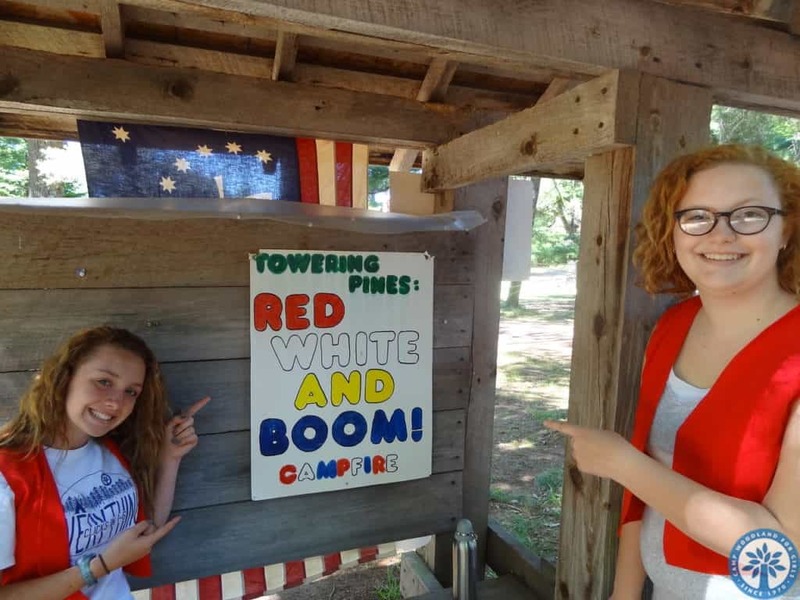 Can’t wait for the annual 4th of July Campfire tonight at Towering Pines! References: More Than Fun and Games – Play Matters by Nancy Brown (Huffington Post) and TEDMED Talk by Jill Vialet. A special shout out to Bill Gonio (friend and former staff at Towering Pines) for giving me permission to “borrow” a few key phrases from one of his 2014 blog posts! As always, thanks, Bill, for your inspiration!